Savda Ghevra is a large resettlement colony forty kilometers (twenty-five miles) from the center of New Delhi, India. To create space for New Delhi’s new infrastructure, 8,000 slum families were uprooted from their homes, social networks, and livelihoods and relocated to pocket-sized plots of 12.5–18 square meters (135–94 sq. ft.). Starting in 2007 with the first generation of settlers, the Center for Urban and Regional Excellence (CURE), with students from New Delhi’s University School of Planning and Architecture and the Aga Khan Trust for Culture, engaged the community in the development of their settlement. The families, armed with knowledge and expertise to take appropriate action, participate in planning meetings and contribute to improved housing plans and basic service designs. With access to microcredit, they help construct their new homes and community spaces, using innovative solutions to get more for less. CURE’s improved housing designs enable independent access for additional rental income. 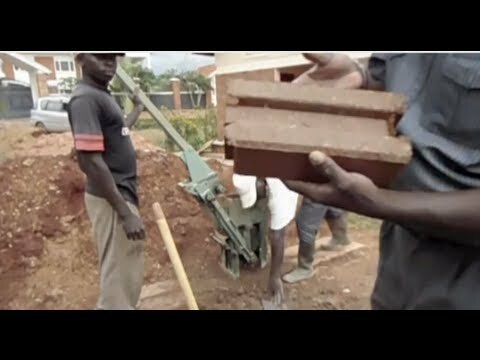 Demonstrating safer self-building methods, modified rat-trap bond brick walls—bricks overlap and break the joint below—bear loads for two floors, as vertical construction is a necessity due to the small plot size. A simple, low-cost redesign of a typical entry door incorporates an open grated top half, yet still provides ventilation, light, and privacy when locked for safety. Since much activity, including household chores, takes place on the street, new streetscape designs increase social engagement; simple colored pavers delineate children’s play and learning spaces; a new water-supply network provides clean well water to homes; and proper wastewater removal improves public health. CURE is also developing with the residents, especially women and young people, sustainable livelihoods within the local economy, including waste-collection enterprises and sewing cooperatives.